Will you not revive us again, that your people may rejoice in you? Show us your steadfast love, O LORD, and grant us your salvation. This goal may seem lofty to some, but consider this—The Great Awakening was termed as such when only 2.5% of the colonist population in British North America surrendered to Christ. The accounts in newspapers and testimonies of the era described waves of overwhelming movements of the Holy Spirit. God told Abraham that if only 10 in Sodom and Gomorrah feared the Lord that he would spare those cities, which represents only 1.5% of the population in those cities. The point is that by a small percentage the Spirit will transform a land. It does not take majorities or large migrations for the Holy Spirit to overpower a culture. Too often, when we think of revival, we think of massive majorities rushing to salvation all at once, but the truth is that the Lord can work through only a few. There are instances in which thousands surrender at once, but that is not a requirement for revival. By some accounts, 50,000 came to know the Lord during the Great Awakening over decades which presents a different idea of the impact of just a few over time. The Gospel will transform a land by spreading individual to individual and multiplying over years to a small percentage of the population. It only takes a few devoted to Christ to change the direction of a Land. We encourage you to be one of those few. 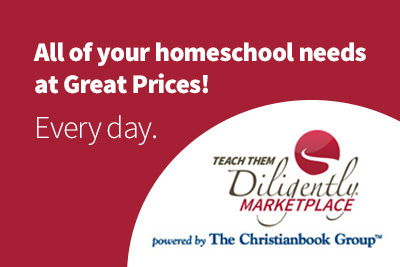 Today, by some accounts, there are 2.5 million homeschool children in the United States. The vast majority are devoted to Christ. There are 318 million people in the United States. Over the next twenty years, what kind of impact could a small percentage of families devoted to discipleship and the Gospel — homeschoolers and non-homeschoolers—have on the United States? What about the world? Our goal is to encourage families toward discipleship in the home and to present the Gospel to those around them. God’s Word will not return empty but will multiply across this land. But, it starts in the home.